Problems with plum trees are many and diverse, resulting from wind spread virus, bacterial and fungal spores also distributed by splashing water. 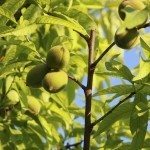 Plum tree diseases may slow or stop production of the fruit crop. As such, control plum disease at the first opportunity after discovery for the health of your fruit producing plum trees. The most common plum tree diseases include black knot, plum pocket, brown rot, plum pox virus, perennial canker and bacterial leaf spot. 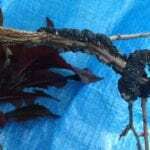 Black knot is a plum tree problem that begins as a velvet green knot in spring then turns black and swollen. Black rot may girdle limbs and in severe cases form on the tree’s trunk. This plum tree problem gets progressively worse without treatment and may halt useable fruit production. Swelling, discolored, hollow fruit signals the plum disease called plum pocket. Hollow fruits may be infested, itching to burst and further spread this plum tree problem. Once established, the disease returns every year. Fungicides may help, but prevention is most effective. Brown rot is another of the plum tree diseases that affects the fruit. Homeowners are often unaware of a problem until green and ripening fruits display spots of the brown rot. In worsening stages, fruits become mummified and cling to the tree. They produce spores in spring. Plum pox virus is normally transmitted via aphids but can also be spread through grafting of affected plants, including peaches and cherries. Once a tree is infected, there is no treatment and the tree should be removed to prevent further infections to nearby plants. Symptoms include discolored rings on leaves and fruits. Controlling aphids is helpful too. Plum tree diseases, such as perennial canker, are spread by a fungus, infesting wood already damaged by insect, mechanical or winter injuries. Sites with poor drainage encourage the collection of spores in damaged spots on the tree, as do excessive wounds. Bacterial leaf spot attacks the leaves, often appearing unnoticed on the leaf underside. Continued infestation results in the plum tree problem of further leaf damage with holes surrounded by the red ringed bacterial indicator. 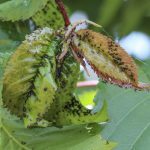 While not technically a disease, plum curculio is a common problem with plum trees. This snout beetle pest and its young can wreak havoc on these fruit trees, causing extensive fruit drop and decay or scabbing of the fruits. Spraying trees with suitable pesticides is your best option in combating these pests. Various methods of control are available to the homeowner. Proper planting of resistant cultivars may be an option to correct plum tree problems. If you are putting in a new orchard, find out which cultivars perform best in you area. Your local County Extension Agent is a good source of this information. Do not plant new plum trees near older, diseased trees. Proper pruning of diseased branches is a worthwhile control. 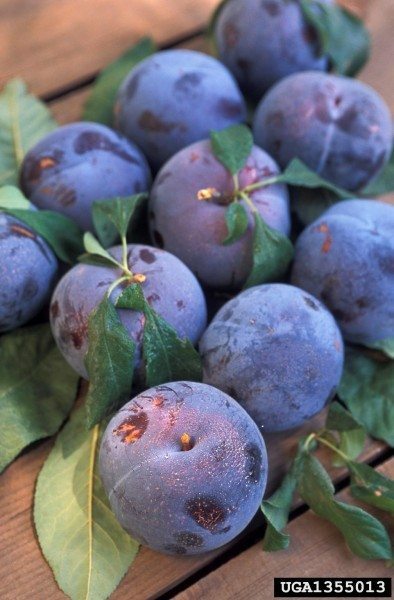 Read more articles about Plum Trees.